Open enrollment season is here. And, if you’re like most people, you’ll probably just stick with what you did last year. But, if you’re a little wiser in today’s consumer-driven healthcare era, looking for ways to fill insurance gaps and cut costs where you can, you’ll do your homework now. That would be a wise move, considering that most health insurance plans come with a lengthy list of exclusions (read more), and your annual limits for in-network care do not max-out until an individual reaches $6,600 or a family hits $13,200 in out-of-pocket costs – a provision included in the ACA. Know your dates: Typically, employers will offer a 30-day open enrollment period during the fall. 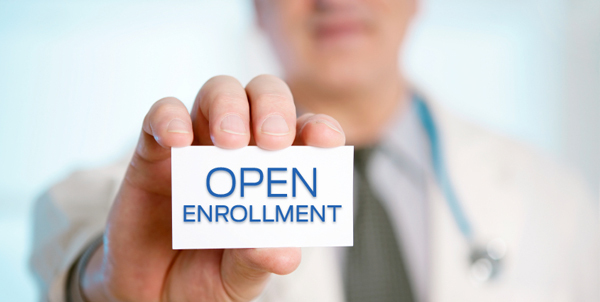 For Medicare, open enrollment is October 15 – December 7. And, for coverage purchased through health insurance exchanges, the upcoming open enrollment period is November 15, 2014 – February 15, 2015. This is the time to make changes to your existing coverage or consider new options. Know what you can get: Refer to your Summary of Benefits and Coverage (SBC), which is an ACA-requirement of all health insurance plans, and should be an easy-to-understand document with details on the benefits and costs you’re responsible for. This can help you compare your options and costs, and, find out what is covered and what is excluded. Know your perks if you got ‘em: Does your employer offer a flexible spending account (FSA) so you can set money aside and lower your taxable income? How about an employer-contributed health savings account (HSA) or a wellness program with financial rewards? What about a voluntary or employer-paid discount health plan to save money on ancillary services? Know your non-insurance options: For healthcare services your insurance may not cover – like dental care, vision, alternative medicine, chiropractic and hearing – consider your non-insurance discount health plan options for your needs. A discount health plan can save you anywhere from 20% to 60% off the regular fee of services provided. You can search for a membership plan that fits your needs through these companies and sign up at any time. Know your potential needs: Make a list of what you currently need and could expect in 2015. For example, a root canal plus a crown, cataract surgery or a weight loss program. This can help you choose an insurance option that best fits your needs, and help you look for ways to save on services your plan doesn’t cover. Know your out-of-pocket costs: Deductibles, co-pays and co-insurance costs for employer-sponsored plans have been rising an average of 40% since 2011 (Towers Watson Report). Add up the numbers on what your out-of-pocket costs could be in 2015. For potential procedures you’ve been delaying, you can estimate your dental and medical costs using the “Cost Lookup Tool” from FAIR Health. Knowing these costs ahead of time can help you budget for what you need. Your open enrollment period is the time to make some extra time, review all your options, know what you’re getting into and find ways to prepare and fill your insurance gaps. The extra time and homework you do now can help you cut your out-of-pocket health costs in the coming year. To learn more about discount health plans and how these non-insurance options can help you save money on healthcare services typically excluded from most health insurance benefits, click here.